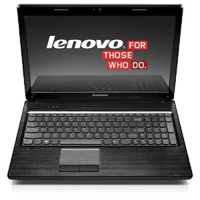 Another Lenovo on our list, because like we said, Lenovo makes a really quality product. This laptop is great if you want your kids to buy it as it has a low price tag (under $400) and only sacrifices a few things while still managing to be a powerful laptop. The processor is a less powerful i3-2350M, while not the best i3 from the line, it’s still got power. 4GB of DIMM RAM, 500GB 5400RPM Hard drive, 15.6″ screen with integrated Intel HD 3000 graphics. Windows 7 64-bit Home premium included. It’s a very basic laptop, which means its perfect for basic school work and internet browsing. Yet it has some more punch to it due to its processor. This is a great bargain computer for college students on a budget or a high-school student trying to buy his first laptop with his summer job earnings.